Is Local ICC Justice Necessarily Better than ICC justice? A few weeks ago, the International Criminal Court (ICC) came nail-bitingly close to finally holding proceedings in an affected community rather than in The Hague. 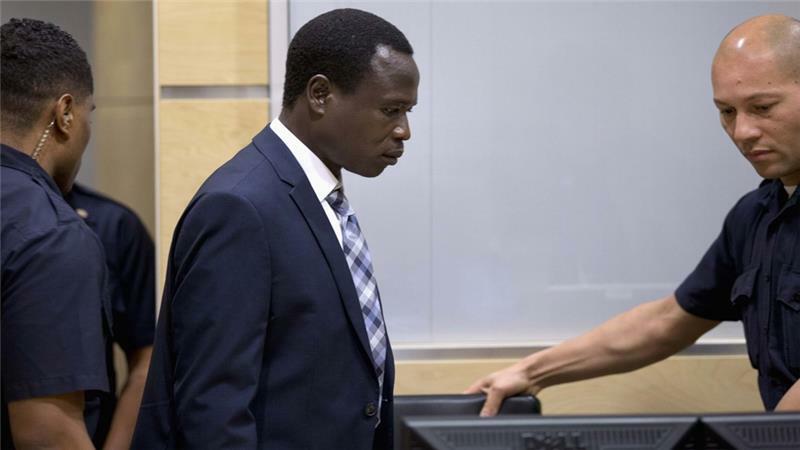 Ultimately, the ICC’s president decided that the risks of holding part of the trial of Bosco Ntaganda in Bunia in the Democratic Republic of Congo (DRC) outweighed the benefits of serving some ICC justice locally. The debate over whether to hold hearings in Bunia raises broader questions: should the ICC be a traveling court? Should its judges, prosecutors, and defence lawyers present their cases in the very same contexts and in the same communities where the alleged perpetrators committed their crimes? Beyond issues of security, what are the potential costs of doing so? In the world of international justice and human rights, it is almost universally accepted that accountability is ideally served locally. Justice is best pursued where victims and survivors reside, where evidence can be collected and presented, and where affected communities can see it being done. In this line of thinking, global institutions that mete out criminal justice, like the ICC, are not ideal purveyors of accountability. Instead, they are seen as necessary bodies that ‘fill in’ the accountability gaps that result from states being unable or unwilling to investigate and prosecute mass atrocities and human rights violations themselves. Put another way, given the option of having no justice or abstracting accountability from affected societies to The Hague, the latter option is always preferable. And here’s the kicker: many believe that if the international community buys into the project of international criminal justice, over time there will eventually be no need for such international institutions. As the commitment to prosecute international crimes spreads, the ICC will work itself out of business and states will be able to justice themselves. As former ICC Chief Prosecutor Luis Moreno Ocampo regularly suggested during his tenure, the ultimate success of the Court would be realised when it had no cases in its dock because states meted out justice themselves. The hope that the ICC’s mere existence and mandate will lead to a world where states prosecute all mass atrocities and human rights violations themselves is, at worst, a promise of unicorns and rainbows. At best, given the existence of regimes like those in Syria and Sudan, and the impunity gap in states with robust judiciaries like the United States and the United Kingdom, it is certainly a very long-term aspiration. This is not to say that this isn’t a good or useful aim to have. But it shouldn’t detract from the myriad of obstacles international criminal justice face today. It also shouldn’t obfuscate from the potential of bringing ICC justice closer to ‘home’. In recent years, there has been a growing interest in seeing the ICC hold hearings in the communities in which the relevant atrocities were perpetrated. This is wholly in line with the Rome Statute of the ICC, which grants the court’s judges the purview to hold hearings, whenever deemed feasible and desirable, in affected communities. Along with the conviction that justice is best served as close to the source of injustice, many also believe that if affected communities truly got to see the Court in action, their oft-stated criticisms would be tempered and those governments that have made a habit of attacking the institution would have a harder time doing so. In fact, the idea of holding ICC proceedings locally is nothing new. Court officials have previously considered holding hearings in the trials of Thomas Dyilo Lubanga in the Democratic Republic of Congo (DRC), of senior government officials allegedly responsible for the 2007/08 post-election violence in Kenya, and (in a much less public way) for Saif al-Islam Gaddafi and Abdullah al-Senussi in Libya. Apart from the recent decision not to hold the Ntaganda trial in Bunia, there are ongoing and advanced discussions about holding the confirmation hearings of child soldier turned Lord’s Resistance Army (LRA) commander Dominic Ongwen in Gulu in northern Uganda. Indicative of just how widespread the conviction is that local ICC justice is necessarily better ICC justice, it is hard, if not impossible, to find any public statement or article arguing that Ongwen should not be tried in Gulu. One piece insisted that such an in situ trial would be “great news”. In a rare moment of agreement, both the prosecution and defence are on board, suggesting the public face of the ICC, as well as Ongwen himself, prefer proceedings to be held in northern Uganda. They may be right. But there also needs to be some critical reflection of the general assumption that, if only feasible, then ICC proceedings should occur locally. Feasibility, which would include issues such as security, cost, and the existence of the required infrastructure, is just one part of the necessary calculus. Holding ICC trials locally also needs to be appropriate and, crucially, not hinder the pursuit of impartial justice. In particular, there is some risk that holding trials locally may deepen the Court’s dependence for cooperation from states, many of which are directly and indirectly responsible for mass atrocities. It is this dependence on states that has resulted in the fact that not a single state actor has ever been targeted by the ICC following a state self-referral. Put more bluntly, so long as the Court is dependent on states for providing security and for protecting witnesses and victims, government actors are likely to enjoy impunity. To target them with prosecution would not only eviscerate such cooperation; the responsibility for any ensuing violence or injustice would be pinned on the ICC. This potential drawback of local ICC justice can be mitigated by holding select, symbolic and limited proceedings in situ. In the Ongwen case, the Court is only considering having the confirmation hearings held in Gulu. However, if these proceedings are successfully held in northern Uganda, they could create an expectation that more proceedings be done in situ – an expectation that the ICC may not be able to afford to meet. None of the above should be read as an argument against serving ICC justice locally. But we need to think through the implications of doing so – beyond whether it is feasible for security reasons and beyond the mantra that local ICC justice is always and necessarily better ICC justice. More importantly, this is a call to weigh the demands and expectations of victims and survivors. There is no doubt that many would like to see justice served closer to home. Many others, however, would like to see state crimes prosecuted. Their voices need to be heard as well. This article was originally posted for CourtSide Justice, my ongoing column at Justice Hub. This entry was posted in Bosco Ntaganda, Democratic Republic of Congo, Dominic Ongwen ICC, ICC Prosecutor, International Criminal Court (ICC), International Criminal Justice, Uganda. Bookmark the permalink. 4 Responses to Is Local ICC Justice Necessarily Better than ICC justice?